Nanzaro and I went to Lansdowne Foodcourt for lunch after running some errands. 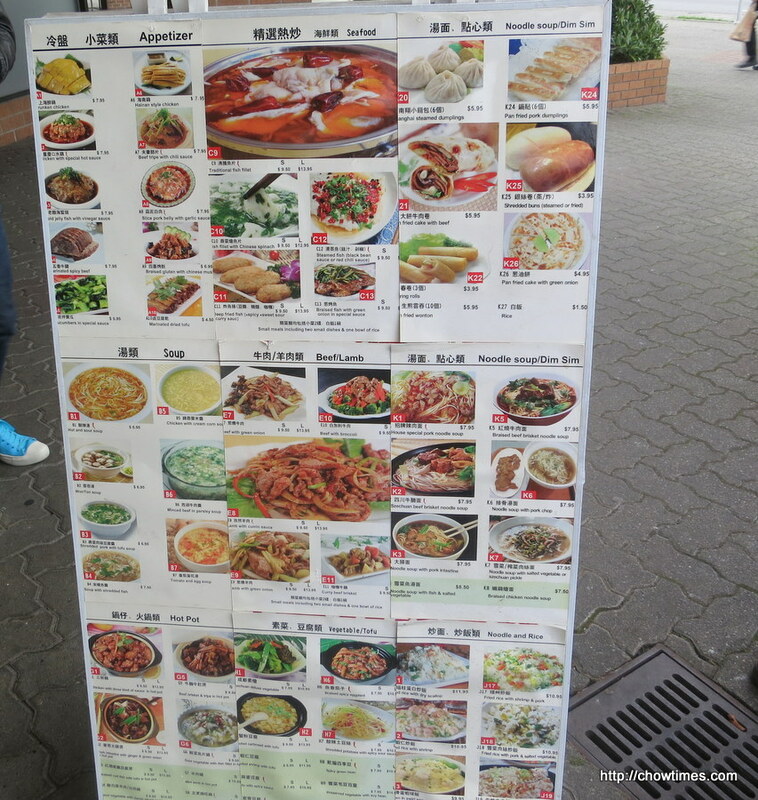 I went to the R&H Chinese Food stall while Nanzaro opted for the Bubble Waffle Cafe. 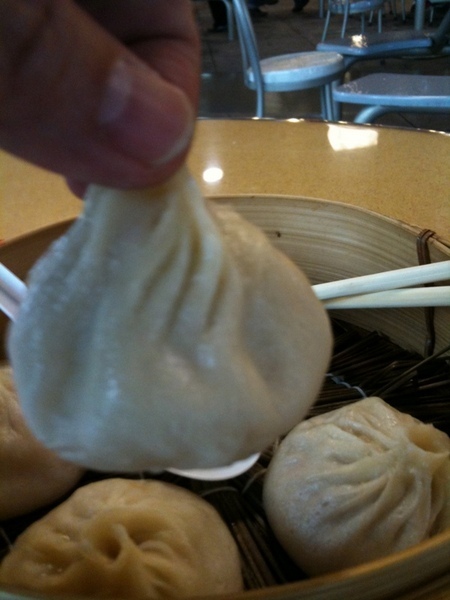 When I was there, a lady was making Siao Loong Bao at the counter. 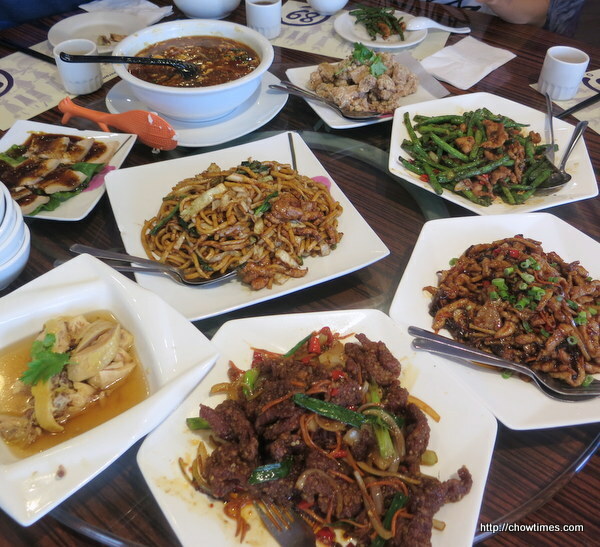 LR organized a mini chowdown at 89 degrees Shanghai Fusion Cuisine. Attendees included retired food blogger Karl of The Friday Lunch and Dennis the Foodie and missus (Wendy). 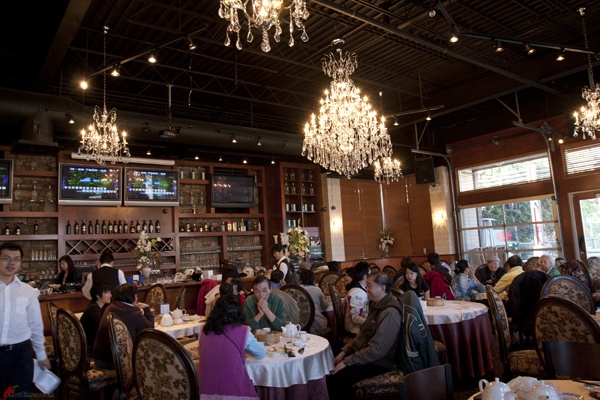 89 degrees Shanghai Fusion Cuisine is a family run restaurant. 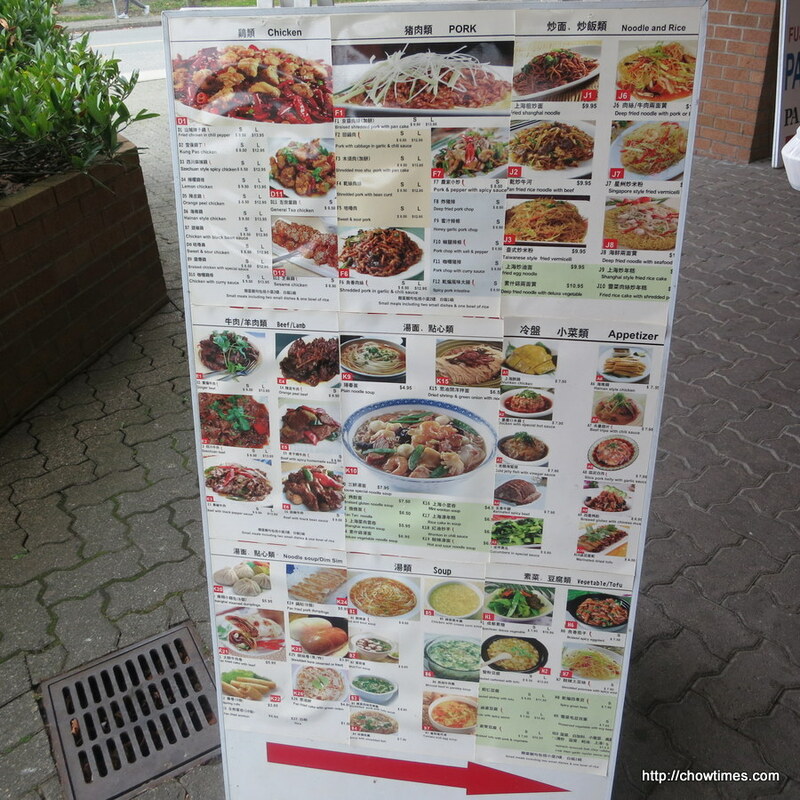 I like the signage stands outside the restaurant which are loaded with pictures. We left the ordering to Karl as he seems to be quite a regular here. 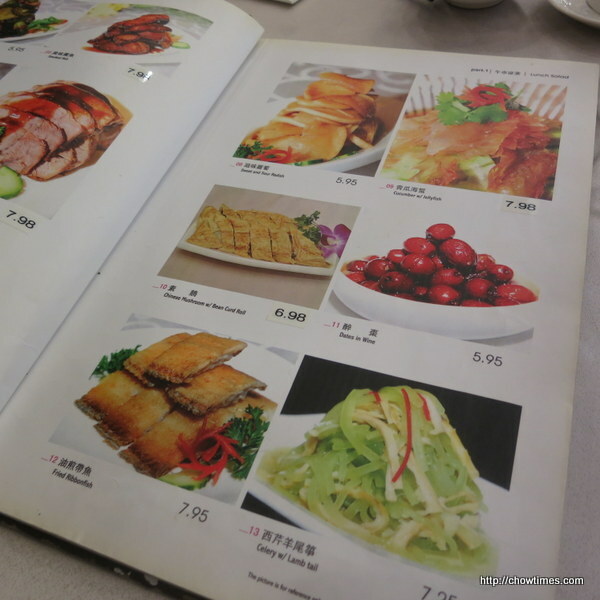 Menu with photos is always a good thing. I am taking a break from our Chicago travel series. Back to local dining for a week. Lorna and I went for lunch at the Akroyd strip mall after our hair cut on a weekday. 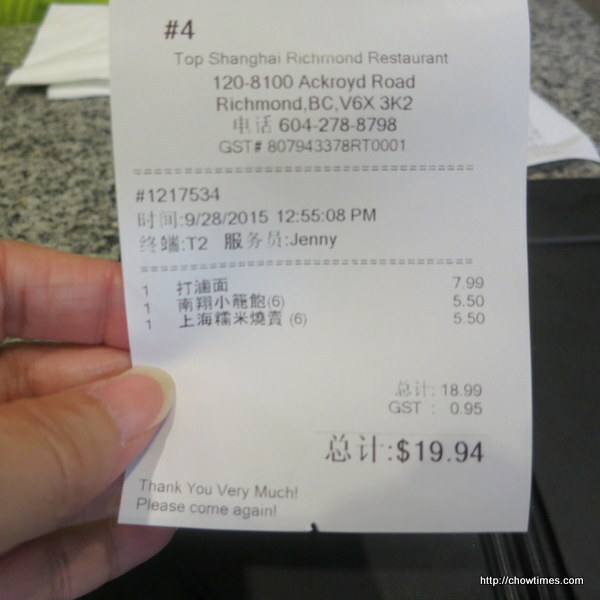 We went to Top Shanghai as it was not busy yet since it was just about noon on a week day. 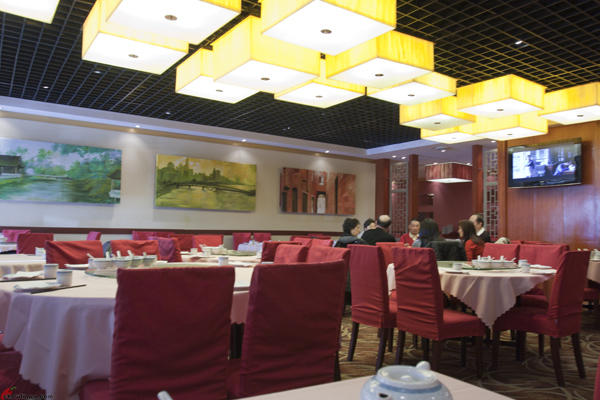 Top Shanghai is popular and if you come at peak hour, you will likely have to wait for a table. 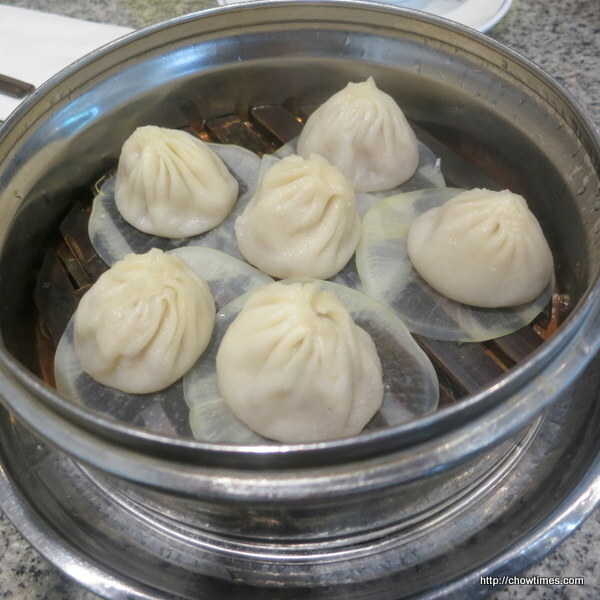 We had the the Xiao Loong Bao which was a typical Shanghai dim sum. It was juicy but they did not have as much juice as they should be. 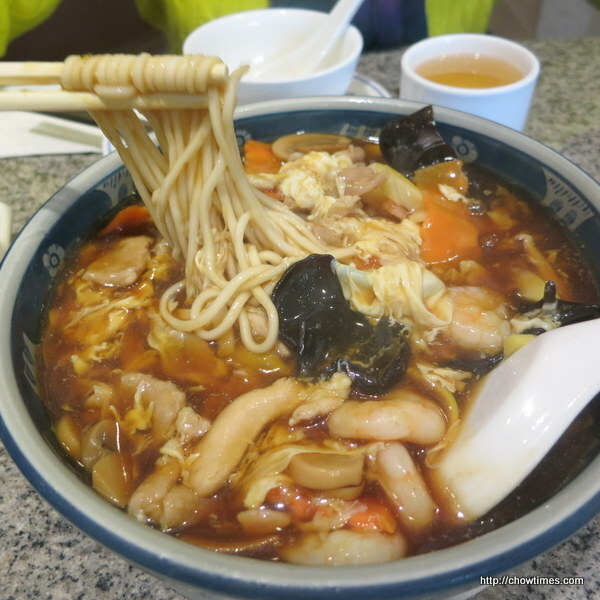 We also shared a noodle soup (can’t recall it’s English name). 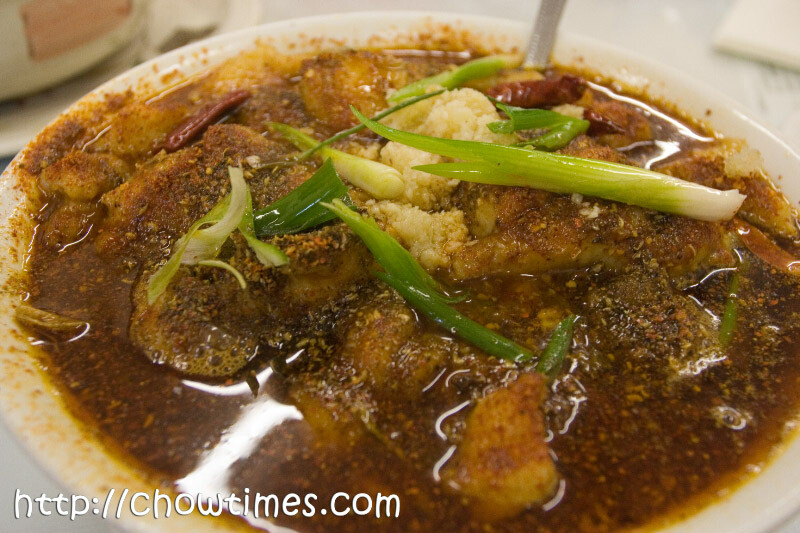 The broth was thickish and it came with shrimp, chicken and vegetables like wood ear, mushroom, etc. 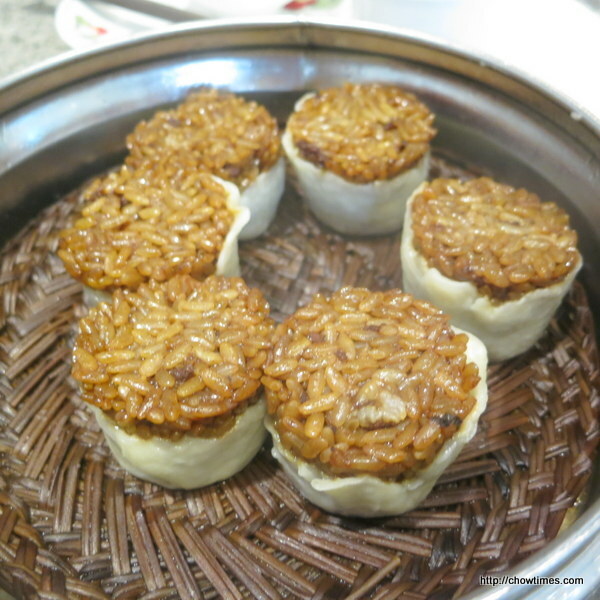 The server also recommended another Shanghai dim sum which is Sticky Rice Siew Mai. They were very filling but we expect them to look better as the photo in the menu does not look like these. Emily, Lorna, Marian and I met up to celebrate Marian’s belated birthday. 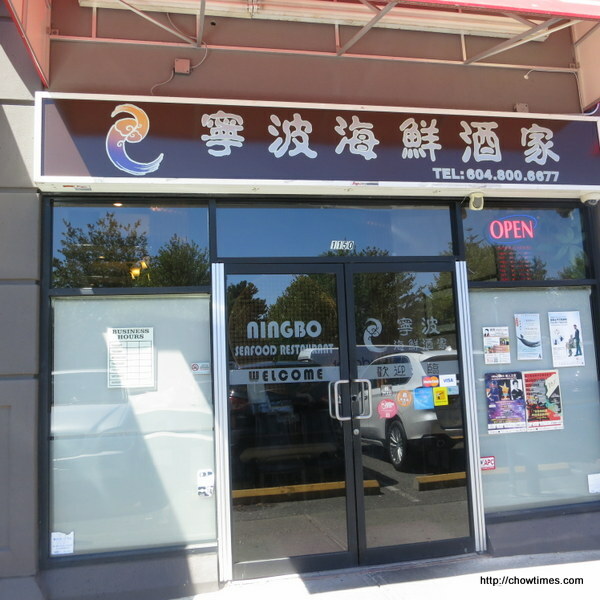 We had lunch at Ningbo Seafood Restaurant. We made the appointment at 1PM. I picked up Lorna early, just past 12PM because I know parking here is difficult and I managed to find a parking on the 2nd floor parking in less than 10 minutes. Emily and Marian who came on time took 30 minutes to find their parking spots on this weekday lunch. Always enjoy menu with photos. 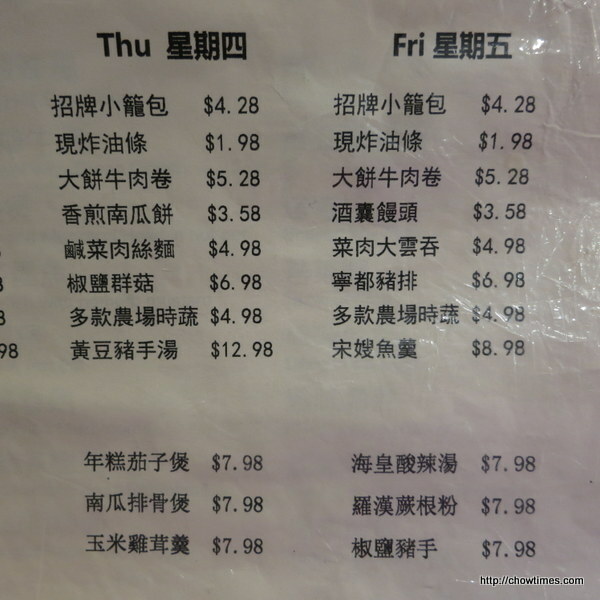 We decided to go for the specials of the day except for the pork feet soup. Marian suggested to meet up on Thanksgiving Day. So, I made a couple of calls to Lorna and Emily to see if they can join in. At the end, only Lorna, me and Marian can make it for dinner. 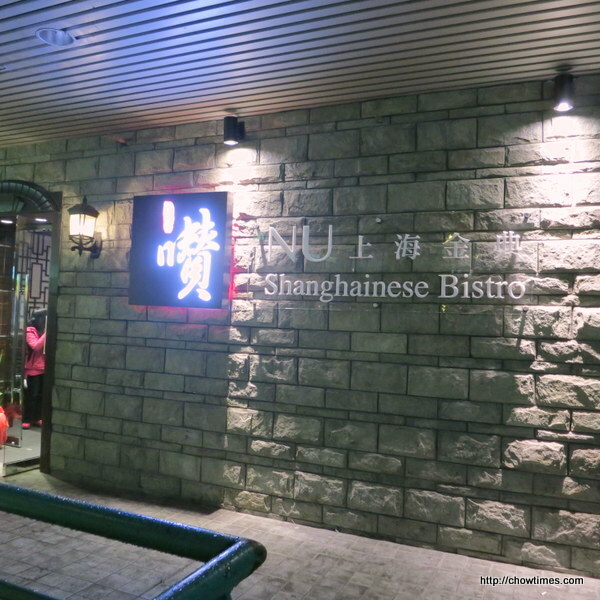 Lorna suggested to meet at NU Shanghainese Bistro, a relatively new restaurant. We arrived at 6PM and we had to wait for 30 minutes for a table. According to Lorna, this restaurant does not take reservation for a party less than 5. On this day, there were quite a number of big parties. Perhaps, it’s because it’s Thanksgiving Day. 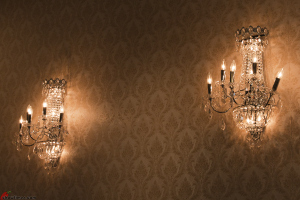 The decor is simple and quite classy. 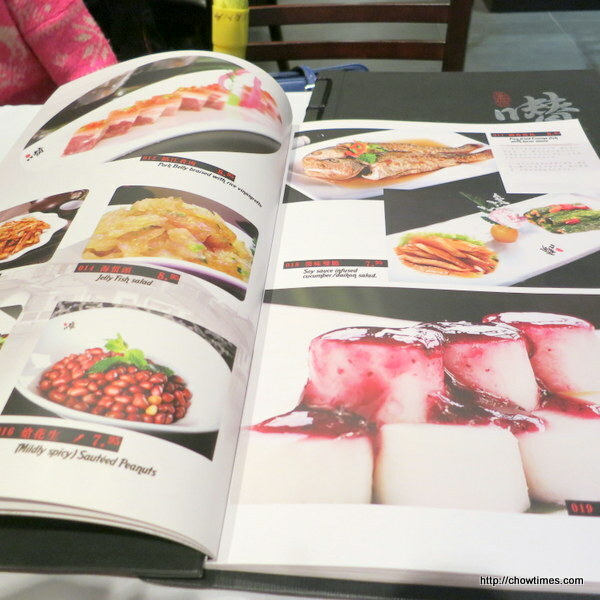 We love the menu which is loaded with photos; just like those we find in Beijing. Tea was served with a warmer, nice. 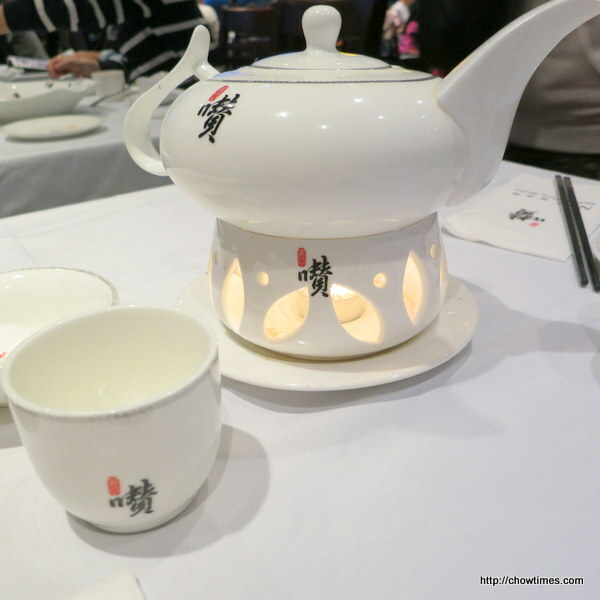 The teapot is quite heavy and it’s cutleries were embossed with the restaurant’s logo. According to Lorna, that Chinese character meant praise. 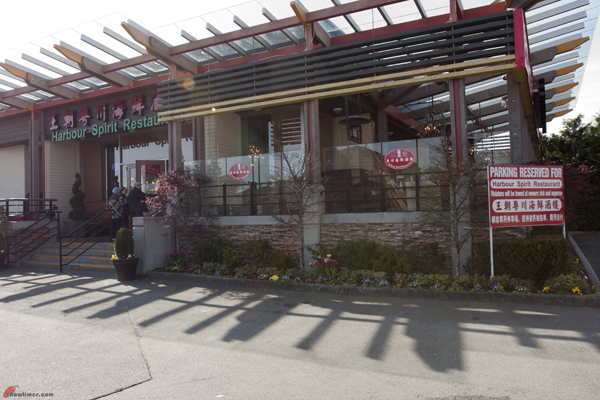 The opening of the Harbour Spirit Restaurant was perhaps one of the most anticipated on over the last few months. One of the reasons is that they were taking an old location vacated by Sammy J Peppers which is a large space and highly visible along the No 3 Road. They are so big that we were told by the restaurant that they will “specialize” on Cantonese AND Sichuan AND Northern AND Hot Pot when we went there (did not eat) on their opening day (see here). I can’t find that comment now but I distinctly remember someone saying that with trying be everything to everyone, they will either succeed big time or they will fail big time. The initial reports from this place were mostly unfavourable. I was not surprised because with such a big operations there are a lot more kinks to sort out. As much as Suanne and I would like to go check them out, we decided that against it. We sort of knew what the experience would be like — no different from all the early reports. We finally went after they were opened for 1.5 months. That should be enough time to have things to settle down and well past the dry run periods. It does seems like the Harbour Spirit have deep pockets. They want to open up with a bang to awe people. On the surface they did quite a good job. 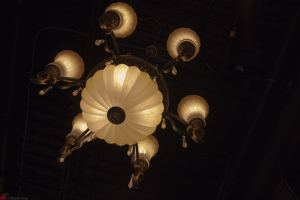 The chandeliers and the heavy set chairs were highly visible. But on a second glance, they are still very rough around the edges. It is in the details that they fell short. OK things like this bother me especially when they try to be classy but ignore the details. The white table cloth above, I find them distractingly nonuniform. That was not just it. The materials are cheap and too light that it shifts when you move the plates or teapot around. And they are wrinkled. Minoo, Marian, Lorna and I volunteered in the Activate! 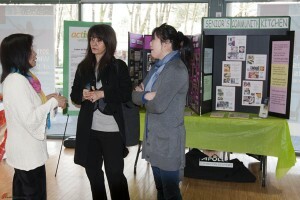 Wellness Fair 55+ at the Minoru Place on March 16th, 2011. The Activate Fair is to promote programs for the 55+ to keep our seniors active in the community and stay healthy. 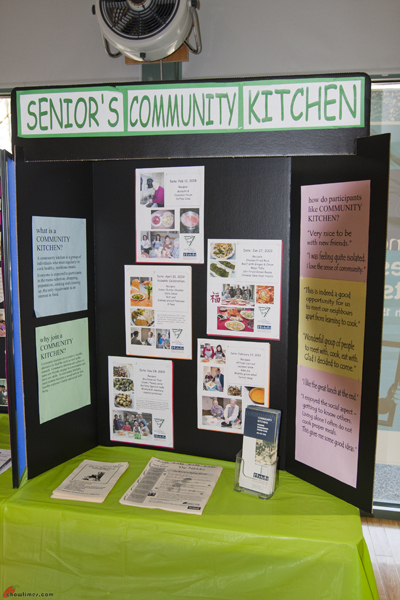 Our booth is to to showcase the seniors community kitchen. 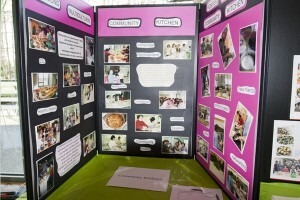 Besides the seniors community kitchen, we also display information on the multicultural community kitchens. We were able to get some people to sign up for the programs during the fair. Marian, Lorna and I volunteered until lunch time and we decided to go for lunch together. 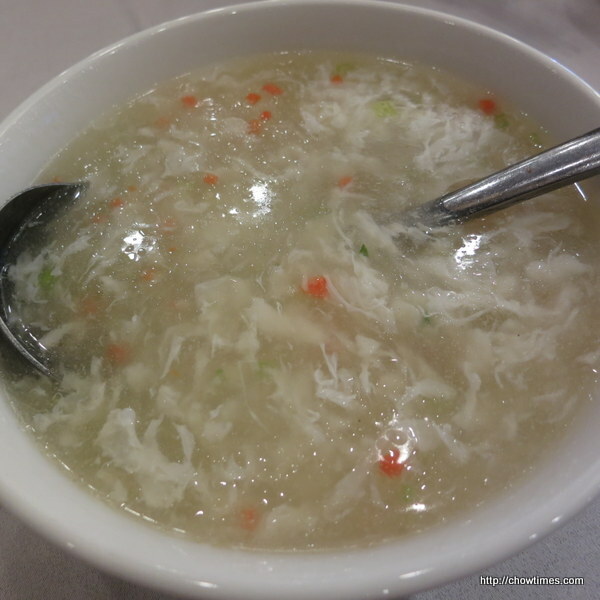 Marian wanted something spicy and we ended up at Moutai Plus Szechuan Cuisine on Park Road. 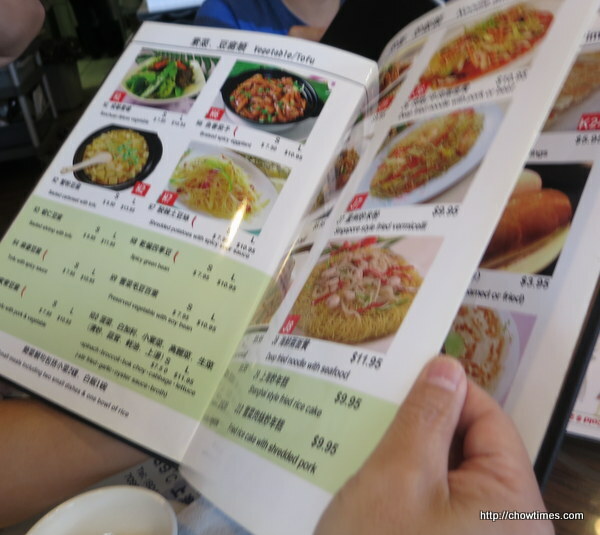 When I told Lorna about this Szechuan place called Moutai Plus at Park Road, she was puzzled as she is not aware of a restaurant called Moutai Plus here. 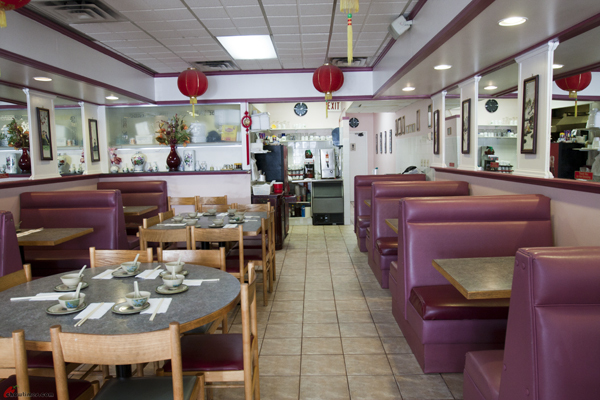 Apparently, she has always known this restaurant as “Dumpling Shop” as indicated in their Chinese name. I can’t count and almost made a mess of it! Actually when I plan for a chowdown, it is actually Suanne who does the heavy lifting behind the scenes. She is meticulous. Me? I get utterly confused when numbers are thrown at me. You see, for once I thought it would be easy for me to just plan the dinner myself since Suanne has already a lot on her plate. Let me take you back to the genesis of this chowdown. 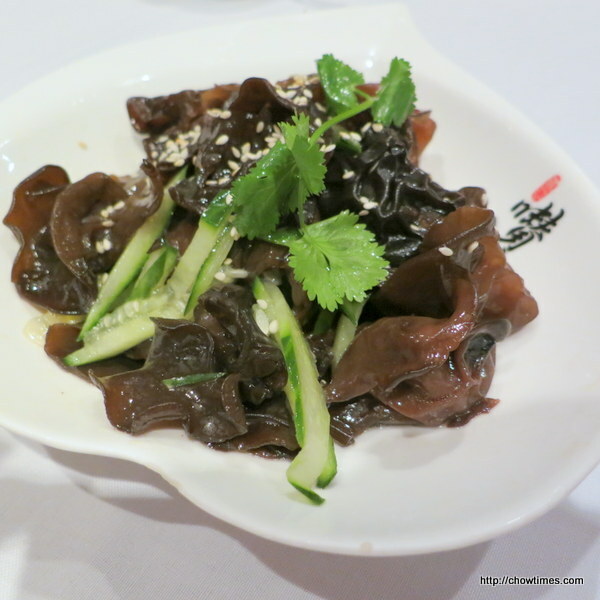 It was two months ago I blogged about the good lunch I had in Shanghai House. It was so good, authentic and cheap that I mentioned that I would love to go back again for dinner and this time order more food. Of course with a few more people to make it more “dai” (worthwhile). Somewhere within the comment thread, someone suggested that I organize a chowdown. And I said sure, I’ll do it. It was a quickie plan. I called for a show of hands of people who are interested. The post was put up on a Wednesday and I suggested a chowdown on Friday. Actually, I was thinking that we will have only two, maybe three couples who will attend given the short 2 day notice. It then quickly got out of hands for me. Amidst my work and handling the emails and all, I guess I lost track of who is coming with who and all. I wanted to have a dinner on ONE table only. Spreading attendees over two tables defeats the purpose of having a good time chatting with everyone. 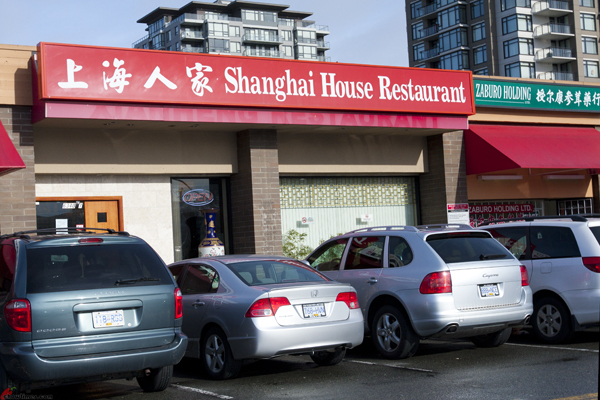 So, I counted 14 people and I confirmed with Shanghai House that they have a table for 14 and 15 with a tight squeeze. I was in trouble! Good thing a few good sport did not mind sitting on a stool to make room for everyone. Sorry guys, it was my mistake. Next time, I’ll let Master Suanne handle this. 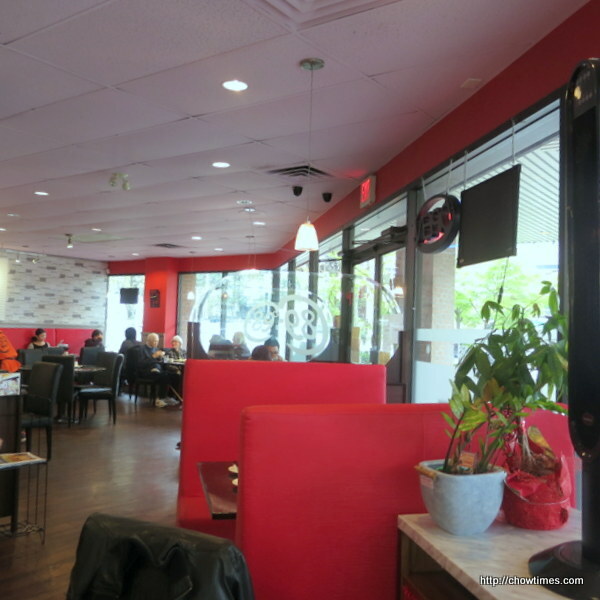 After 5 years of blogging we find that the local Asian restaurant scene had changed a lot. 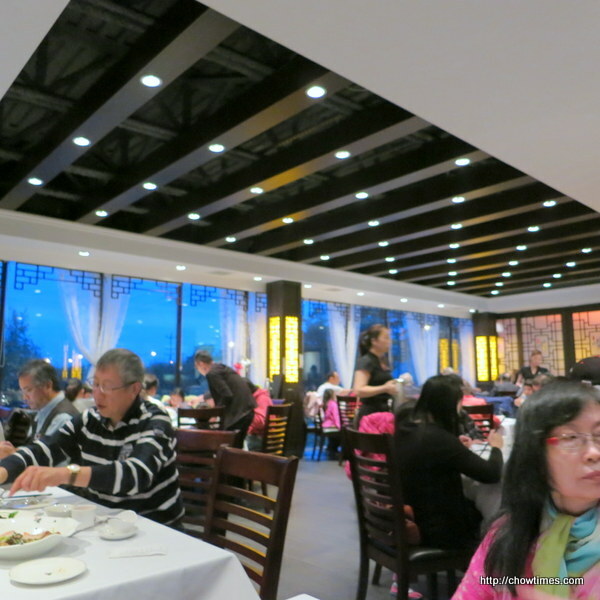 Suanne and I don’t normally go back to restaurants we had blogged about before. 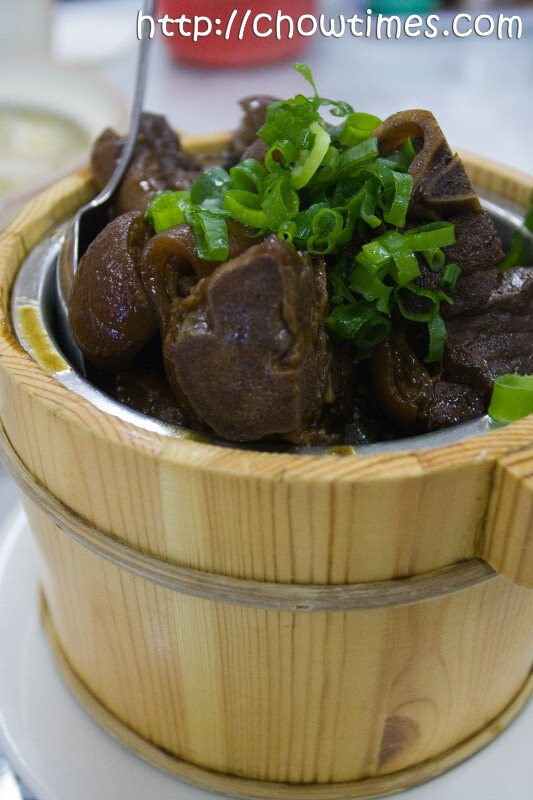 Instead we wanted to try new places and seek new dishes. However, we realized that a lot of our earlier blog posts are already dated. Some of which are no longer relevant. So we thought it might be a good idea to make visits back to some of them that we remember as very good ones. So what better place to go to but The Place. 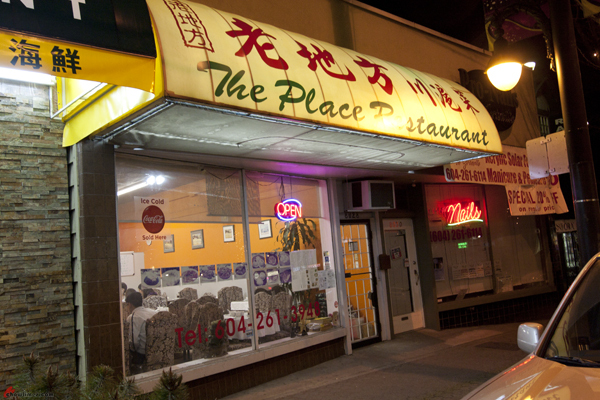 In Chinese, this restaurant is called 老地方 which mean the old place — a place you go back to for old time sake. We were here and blogged about The Place in this post three years ago. 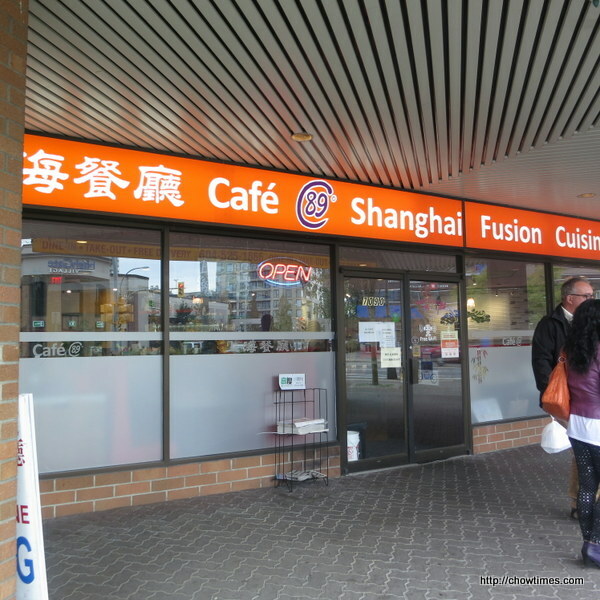 The Place is located on Granville Street in the south end of Vancouver. This is another blog post done entirely with the iPhone, including the pictures and video. 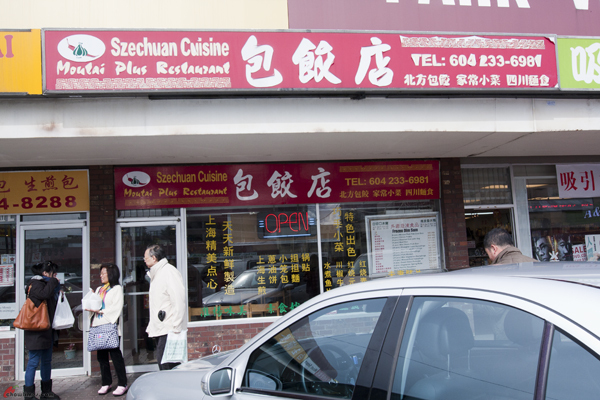 It came as a shock to many people to learn that Wang’s had closed. I found out only last week. The new place is called Xu’s. Apparently new owner. The new lady in charge look very familiar but I just can’t remember where I had seen her before.